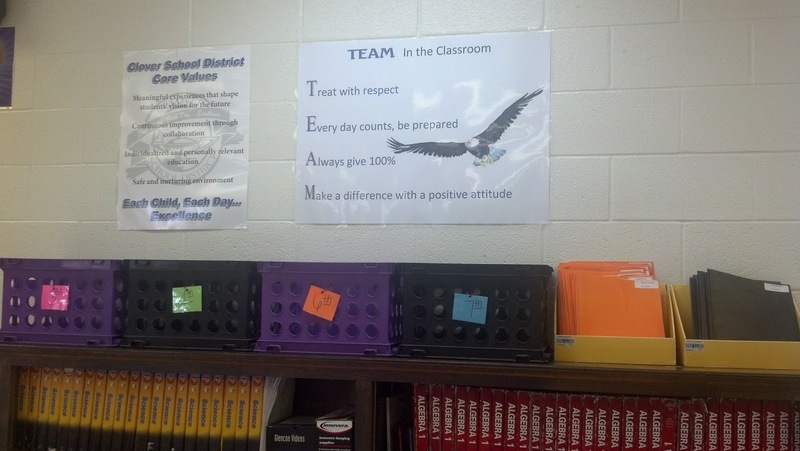 My 8th Grade World: We Are Up & Running!! We Are Up & Running!! We are up and running and running at Clover Middle School! 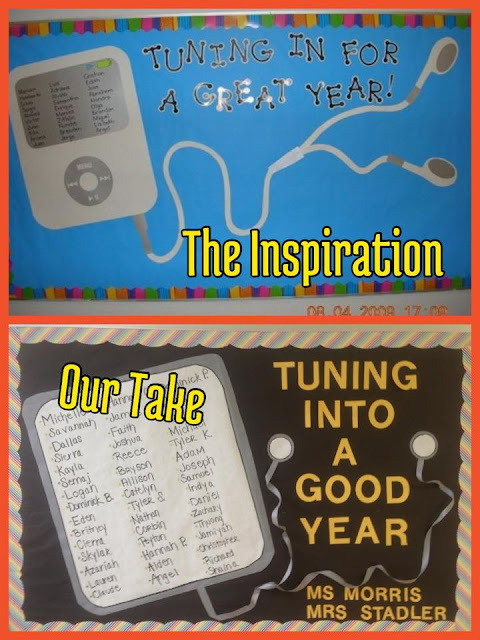 We started our first day of school on Wednesday and had an absolute fantastic end of the week. 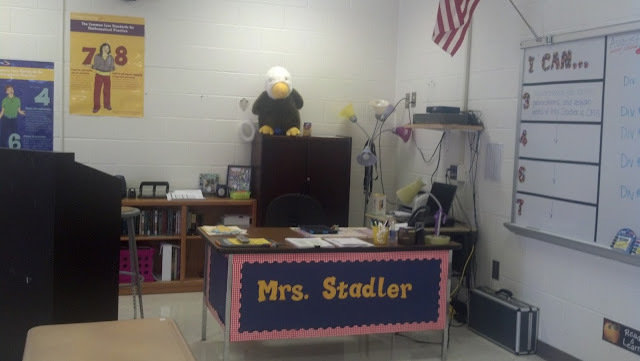 I am beyond excited to see my eighth graders Monday morning and continue the great three days that we had this week. 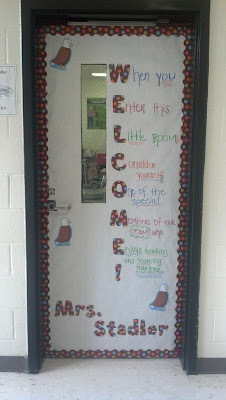 This is my cute little Welcome door! I found this here on Pinterest and fell in love with it. 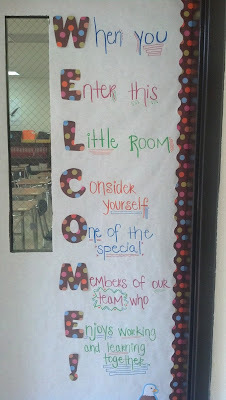 I want to make sure my eighth graders feel loved...but not in a cheesy-sixth grade student way. 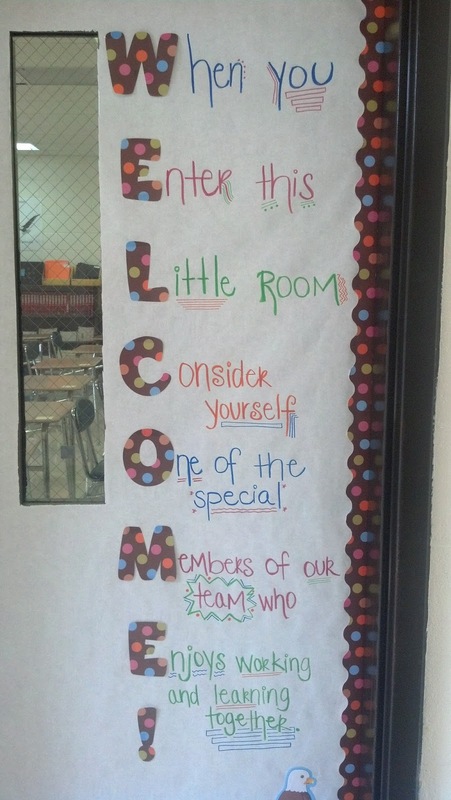 I feel as though this Welcome door allows our 8-3 team to follow the overall "team" theme we are creating at Clover! This is my "While You Were Out" board. I write brief descriptions of what I cover throughout the week in case there are any absent students. This way students can check out what we covered, and come ask me specifically about assignments and topics! 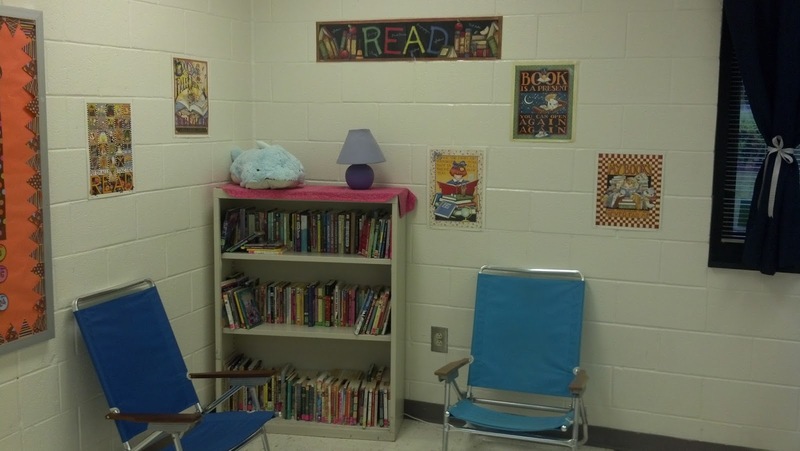 Great resource from Mrs. Cunningham at Cramerton (my old home!). 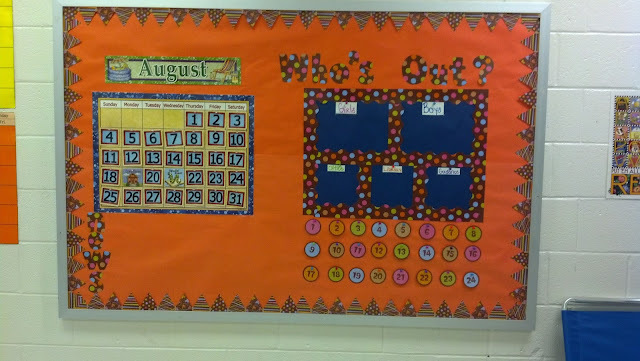 I decided to make my only bulletin board my "news, calendar, and who's out" board. I keep my calendar updated with major tests, events, and projects for my students. This month is open house (for "Meet the Teacher" Night) and a Special Event for the first day of school! Underneath my calendar I will put news bulletins that come out for the school year. 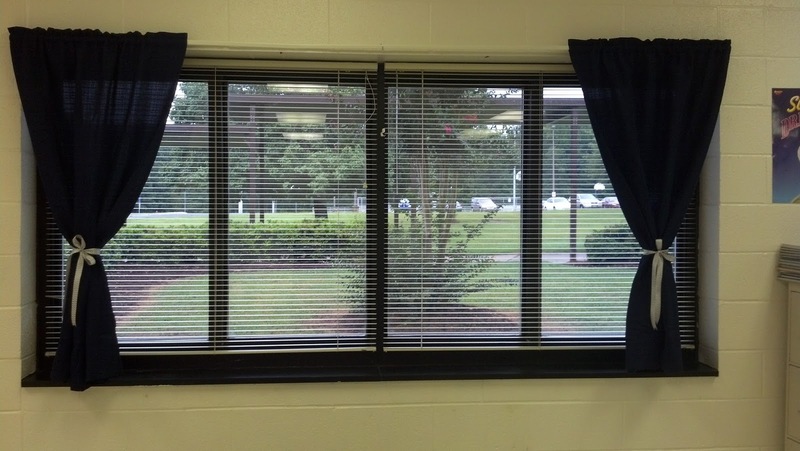 Flyers for events, dances, and games will be placed here. 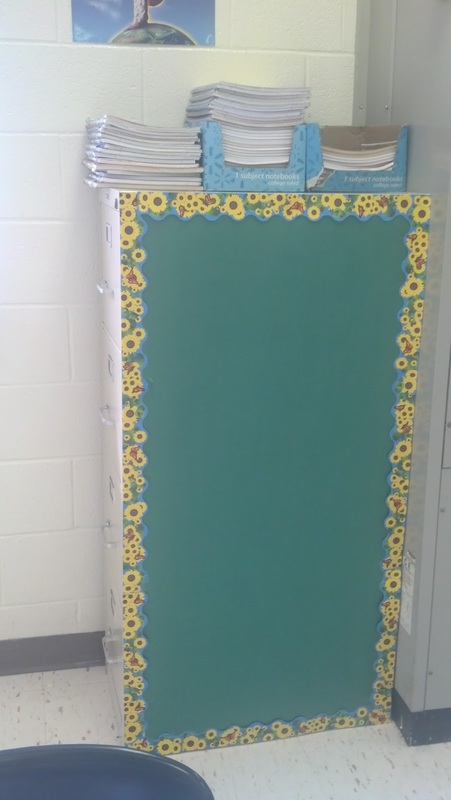 My Who's Out section is where students get their number, based on their alphabetic order of last name in each class, and move to their location when they leave the room. 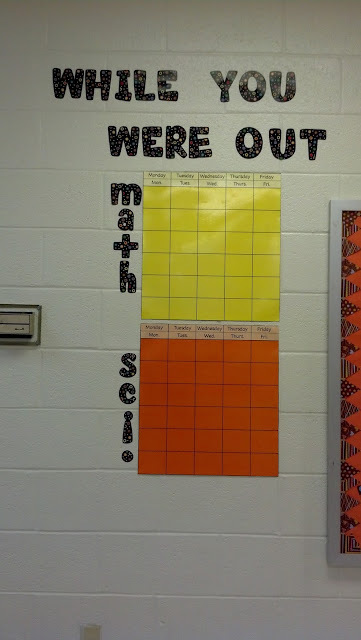 This helps keep track of how many students are actually out of the room and where they are! (Check out where the idea came from here!) The kids seem to pick up on it quickly and hold each other accountable for moving the numbers back! It's pretty awesome! 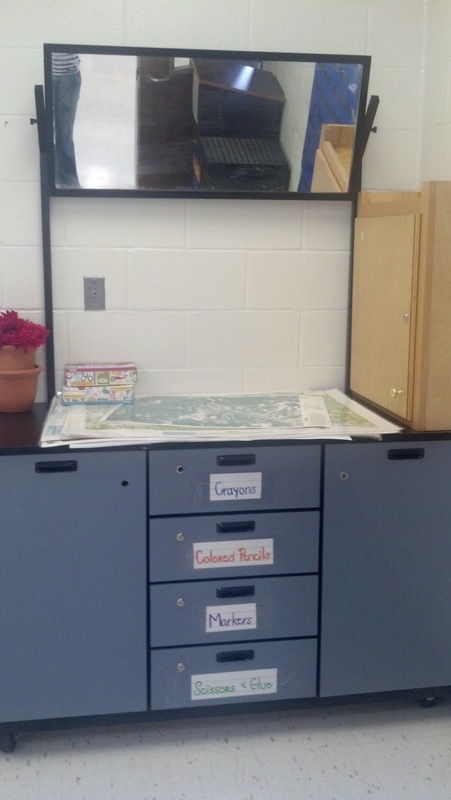 This is a continuation of the student-resource center for notebook paper, pens, pencils, hand sanitizer, and a pencil sharpener. Also, this is where I used black electrical tape (done by my wonderful husband) to make my homework portion of the white board. 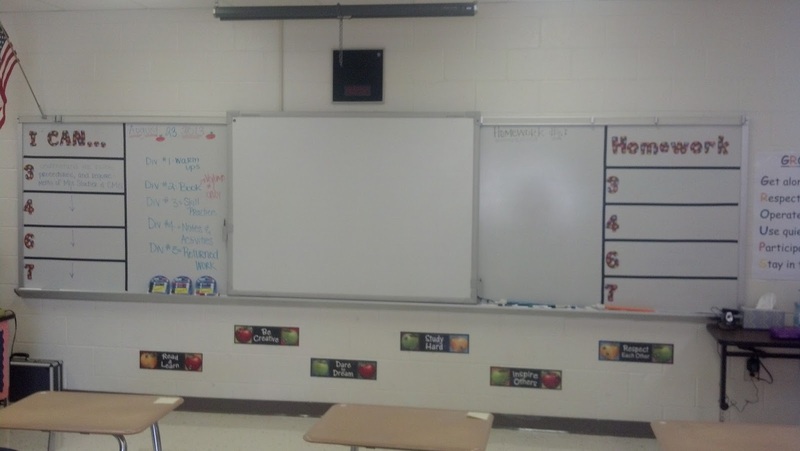 The finished whiteboard! Homework side, I Can statement side, with my board in the middle! Bins organized with the period numbers on them. These bins help me hold onto Math and Science notebooks when students do not need to take them home. Students can keep them in my room, in these bins, rather than in their lockers. 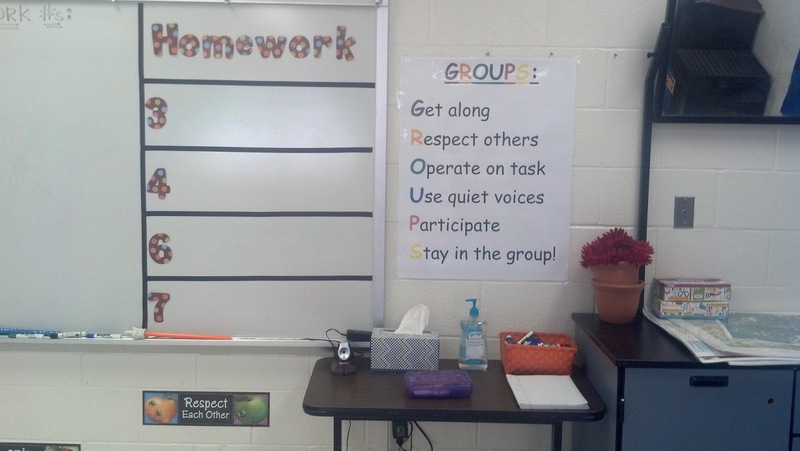 I've found this helps keep students organized too! 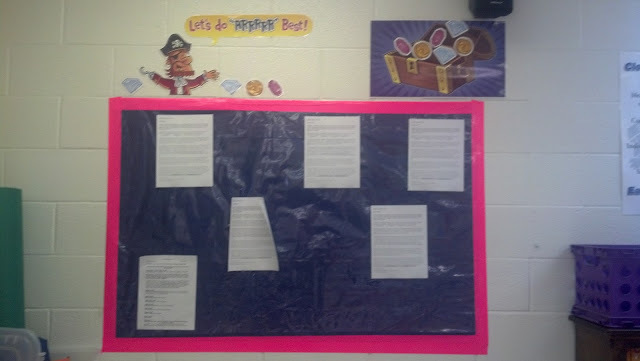 This is my "Let's do our ARRRR best" board! I used blue bulletin paper with hot pink duck-tape to improvise a bulletin board! (Check out the original idea here!) It turned out not-to-shabby if you ask me. Again....my wonderful husband put this together for me! I plan on using this space to highlight students' best work and show off some fabulous students and what they are capable of. I am looking forward to beginning to document the wonderful things that my eighth graders and I are going to get into this school year. 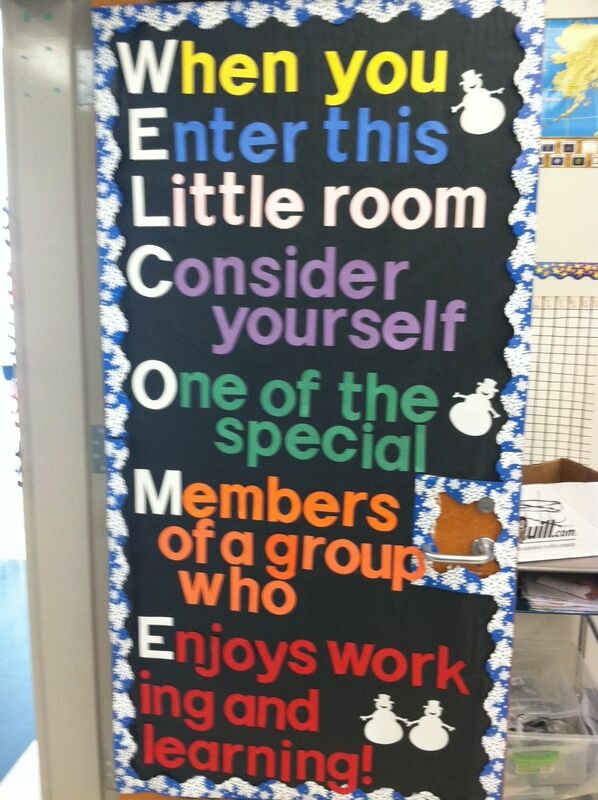 I already have my next blog planned out with exactly the activities we want to share and show-off. I am looking forward to a great year and know that my classroom is ready!